Commit any changes that have been made to the repository. Get the context in which this operator executes. Find in the supplied parent node the first child with the supplied name. 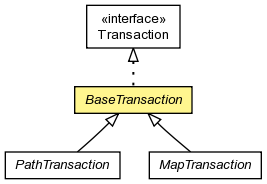 Obtain the repository object against which this transaction is running. Get the root node of the repository workspace. Get the names of the existing workspaces. Rollback any changes that have been made to this repository. Find in the supplied parent node the first child with the supplied name. This method returns null if the parent has no such child. This method is implemented by iterating through the children, looking for the first child that has a matching name. Obviously this may be implemented more efficiently in certain systems. For example, an implementation might create a path by appending the child name to the supplied parent, and find the node with this path. Commit any changes that have been made to the repository. This method may throw runtime exceptions if there are failures committing the changes, but the transaction is still expected to be closed. Rollback any changes that have been made to this repository. This method may throw runtime exceptions if there are failures rolling back the changes, but the transaction is still expected to be closed.